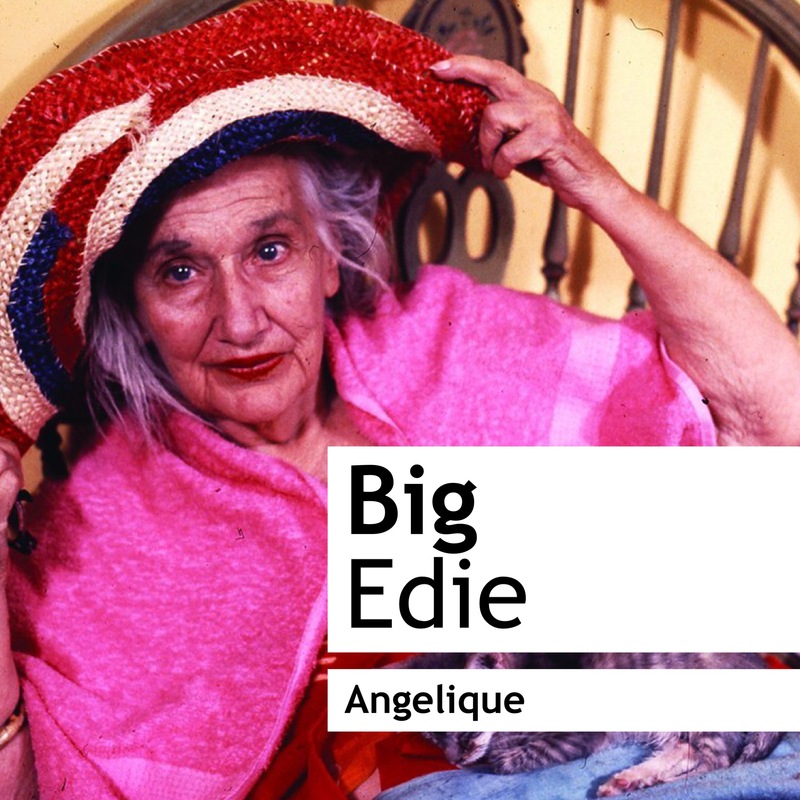 Let’s kick off with Big Edie, the eccentric matriarch of the Bouvier Beale family. Edith ‘Big Edie’ Ewing Bouvier Beale was a New York socialite and amateur singer, not to mention the aunt of Jackie blooming Kennedy Onassis! Due to her ill health, our dear Big Edie spends the majority of the documentary in bed and/or in a state of undress. Where her daughter, Little Edie (who has had no choice but to move in with her) cannot stand the surrounding squalor (her protests of this particular subject dominate many a scene), Big Edie appears to revel in it. She is never happier than when she is in bed, surrounded by cats, old photographs and ice cream, straight from the tub. But how can we scent Big Edie? Do we choose something that represents her antagonistic side? The side that seems to get on Little Edie’s nerves at every turn? Or do we pick something that represents her failed career as a singer? (L’Artisan’s Tea for Two springs to mind…). I’d say that the best part of Big Edie to scent would be her faded beauty. In one scene in particular, the Edies pour over old photographs of Big Edie, many of which show her as beautiful and glamorous in a classic 1920s manner, and listen to (and sing along to) some of her old records. Big Edie’s longing for the past is what gets her through. One perfume that perfectly captures old school glamour, but in an unusual and intriguing manner is Angélique by Papillon Artisan Perfumes. Angélique is an off-centre iris fragrance painted in pastel shades. It gives the impression of a faded sepia photograph and boasts a peach note that is melancholic and cold. 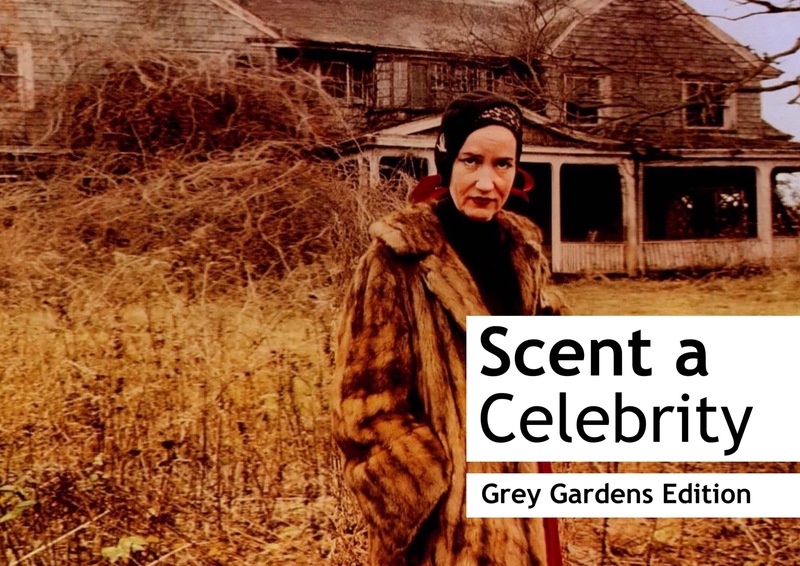 In Grey Gardens, Big Edie is frail but ultimately, she refuses to be a shadow of her former self. Sure, her physicality is different and she’s not living the life she used to, but she’s an optimist (Little Edie however, isn’t quite so happy about their situation) and her bold character always remains strong, and that’s exactly what Angélique is too – a bold character. Little Edie is easily one of the most fascinating and loveable character to ever have graced the annals of documentary film making. Eccentric, uniquely fashioned, cooky and full of infinitely quotable one-liners, Little Edith Bouvier Beale was a former model and debutante that became an unlikely fashion icon following the success of Grey Gardens. Little Edie may have been living in a dilapidated house with her ailing mother, and more cats than the Andrew Lloyd Webber musical (not to mention the raccoons), and she may have lost her hair to alopecia, but she still believed that she was beautiful (and she was). What’s more, nobody could quite pull of a headscarf and a magnifying glass quite like our Edie. For the iconic Little Edie I have picked an extroverted fragrance that loves to perform – Tralala by Penhaligon’s and Meadham Kirchhoff. Tralala is the olfactory equivalent of a good old rummage through the contents of a dusty old dressing up box, a chest that I’m sure Little Edie would have spent a great deal of time browsing through, before picking out a suitable outfit for the day and proclaiming; “This is the best thing to wear for today, you understand”. She’d fashion it into a skirt-come-cape and rock it like she was on the cover of Vogue magazine. 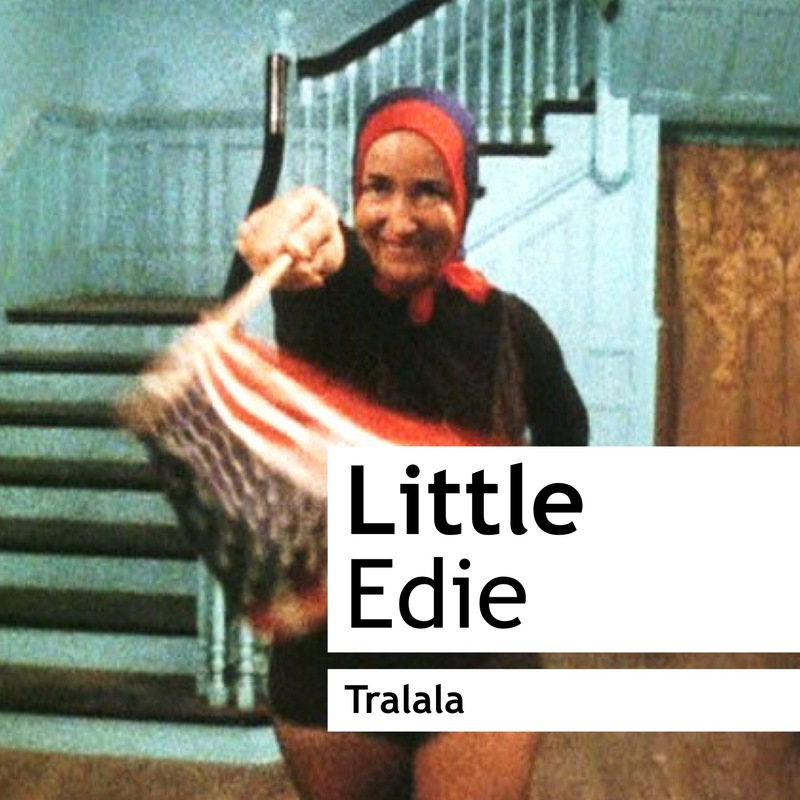 Tralala and Little Edie share characters. They’re both ridiculously over the top, with one fizzing with boozy aldehydes and dancing amongst a downpour of party balloons fashioned into the shapes of flowers, whilst the other makes dramatic statements about being fighting with her mother over a kimono and parades around with a small American flag (I’ll leave you to figure out which is which). But it’s not just the O, the T and the T that Tralala and Little Edie share, it’s also a disconcerting sense of sadness – a feeling that perhaps, they were both destined for greatness, but neither quite made it. Have you seen Grey Gardens? How would you scent the wonderfully eccentric characters of Little & Big Edie? Posted in Scent a Celebrity Series and tagged Angélique, Big Edie, Bouvier Beale, Documentary, Fragrance, Grey Gardens, Little Edie, Meadham Kirchhoff, Papillon Artisan Perfumes, Penhaligon's, Perfume, The Scent a Celebrity Series, Tralala. Bookmark the permalink. Thanks for the link to the film, Thomas. Looking forward to watching that. I only heard about Grey Gardens for the first time from Nick on your wedding day. I’m totally intrigued. I’ve seen a few clips since and certainly enought to almost exclaim out loud when I saw you were scenting Little Edie with Tralala. Too perfect! 😀 I hope you enjoy the film! Have you seen the film about them starring Jessica Lange and Drew Barrymore? I have to say they did a great job portraying them. It’s a sad story but they were staunch characters and they made the best of things it seemed. I imagine Big Edie in a perfume that she wore in her glory days like Chanel No.5 or something that smells retro and rich, maybe Diva. I’ve never smelled Angelique but your description sounds like it would be a good fit for her too. Little Edie would be in something fun I think so Tra La La seems like a good choice. The other one that came to mind was Marni but mostly because of that little doll it came with. Nº5 and Diva are EXCELLENT choices for Big Edie. I think she would have had a little bottle of each stowed away amongst the newspapers. Was literally looking forward to reading this all day. Grey Gardens is one of my fav films, and I love your choices for B & L Edie. Nobody rocks a head scarf better. Yay! Nobody rocks a head scarf better, you are quite right.